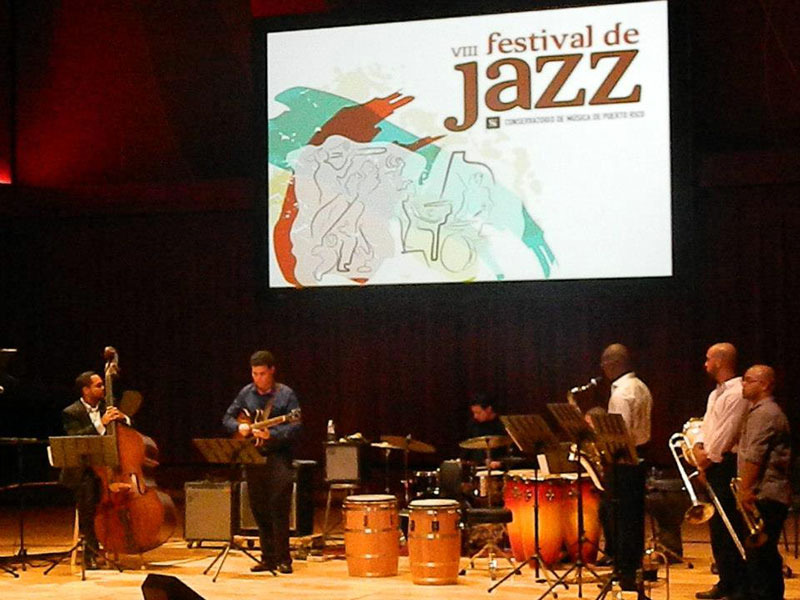 Of all the Festivals celebrating the wonderful music of Jazz in Puerto Rico, the Puerto Rico Music Conservatory Jazz Fest is maybe my favorite. 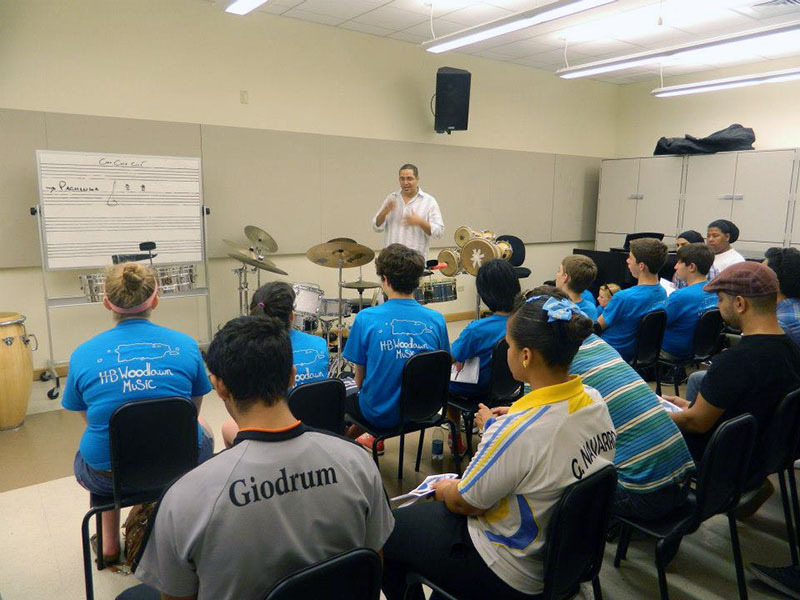 There are a few reasons for this preference, for one, this festival is organized by the most prestigious music educational institution in Puerto Rico and for sure one of the best in America. 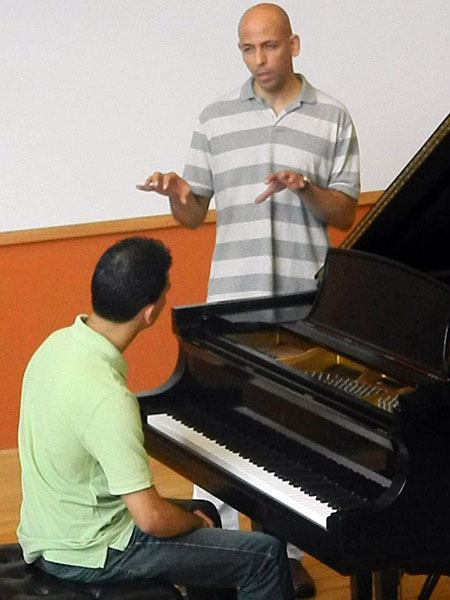 So this festival is not only about the concerts, the music clinics on the first two days of the fest sometimes are even more interesting than the concerts themselves. 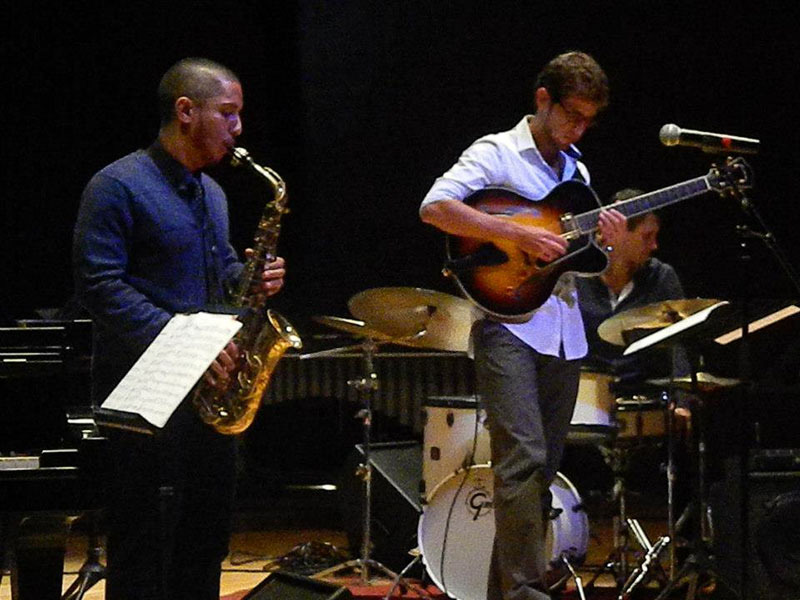 The Music Conservatory always make sure that the best international and local jazz musicians share their experiences and knowledge with young musicians and students from all over the island. 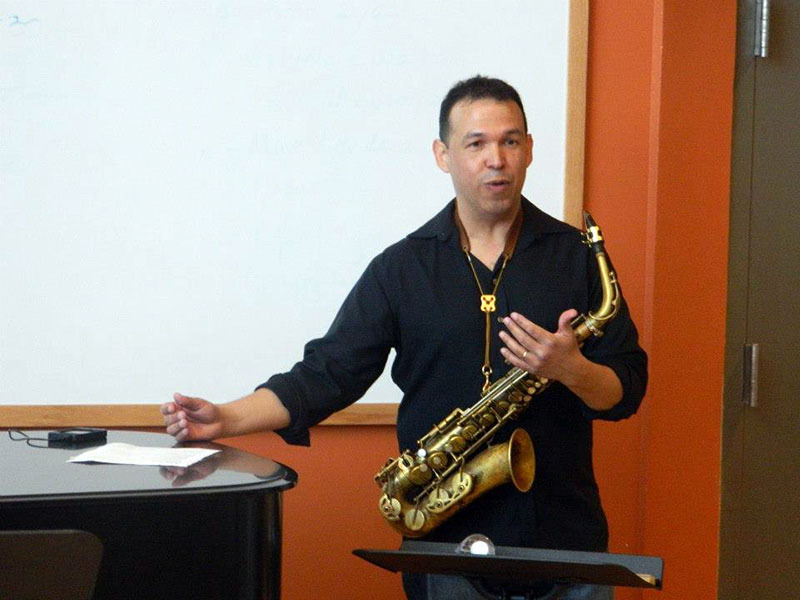 On the first day of this 8th edition of the fest, Puerto Rican saxophonist Luis Orta, who also amazed the public with his technique and improvisational skills on Saturday night, was in charge of the saxophone improvisation clinic. 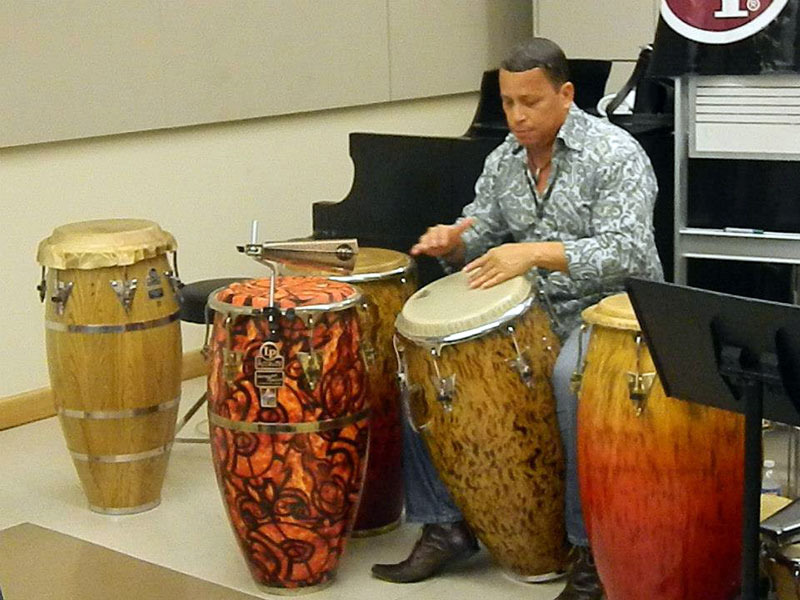 Cuban drummer Fidel Morales, shared his knowledge on drums and percussion on Afro-Cuban techniques. 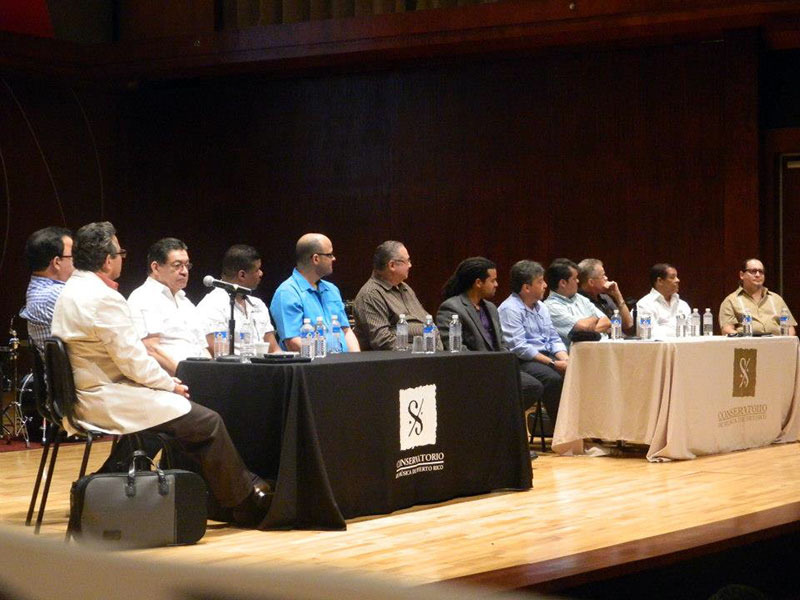 And trumpeter Julito Alvarado invited some of his friends, Elias Lopés, Luis Perico Ortiz, Elliot Feijó, Tommy Villariny and Luis Aquino, among other trumpet masters, to discuss different concepts and techniques, essentials to any trumpet player. 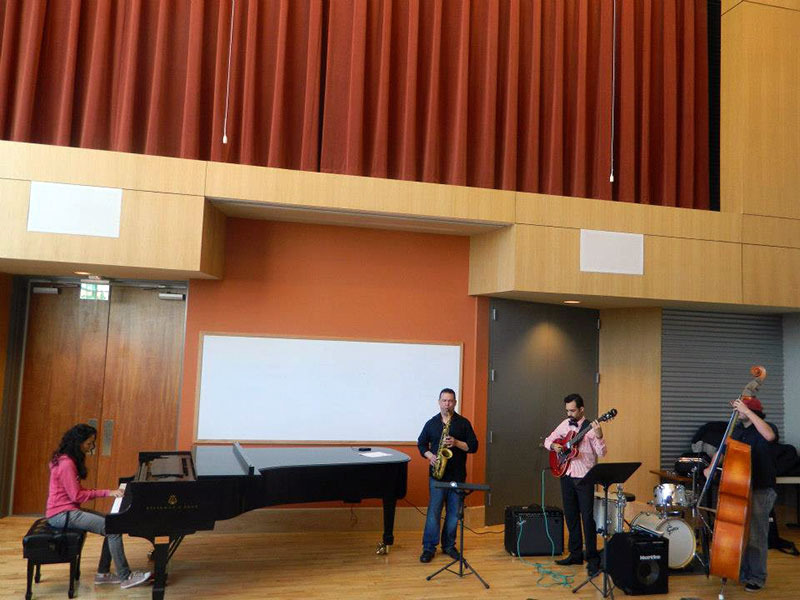 The first night of concerts opened with Guess Who Jazz Quartet, a group of young musicians, all of them still in high school. 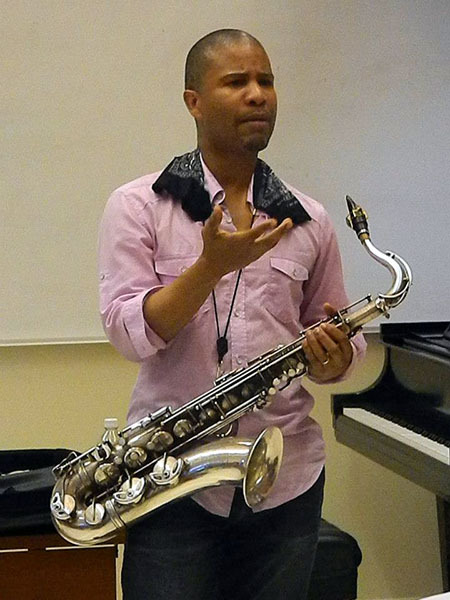 In a society bombarded with mediocrity by the media, especially in music, it is refreshing to see young people still interested in learning and playing jazz. 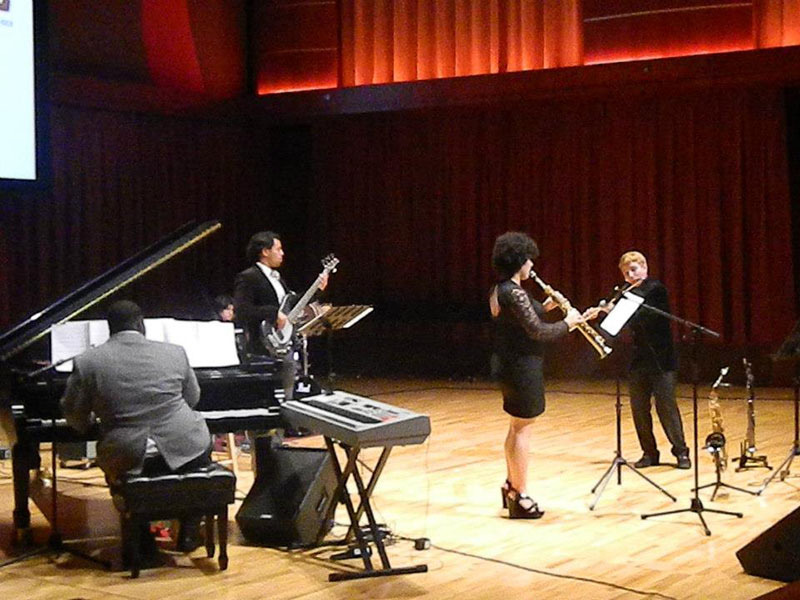 The second act of the night, Elias Santos Celpa y su Grupo, is also a good example of young talented musicians, directed by Professor Elias Santos Celpa. 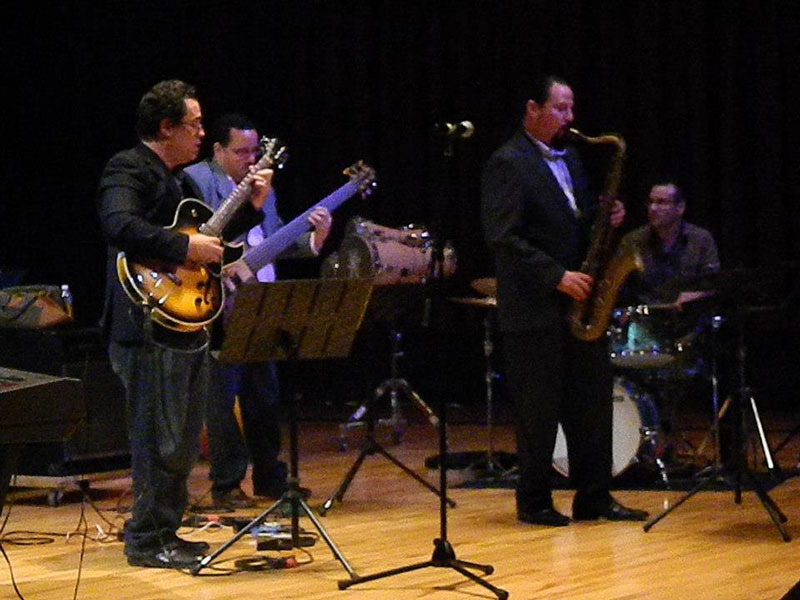 The night closed with a group of friends, Norberto Tiko Ortiz Quartet. 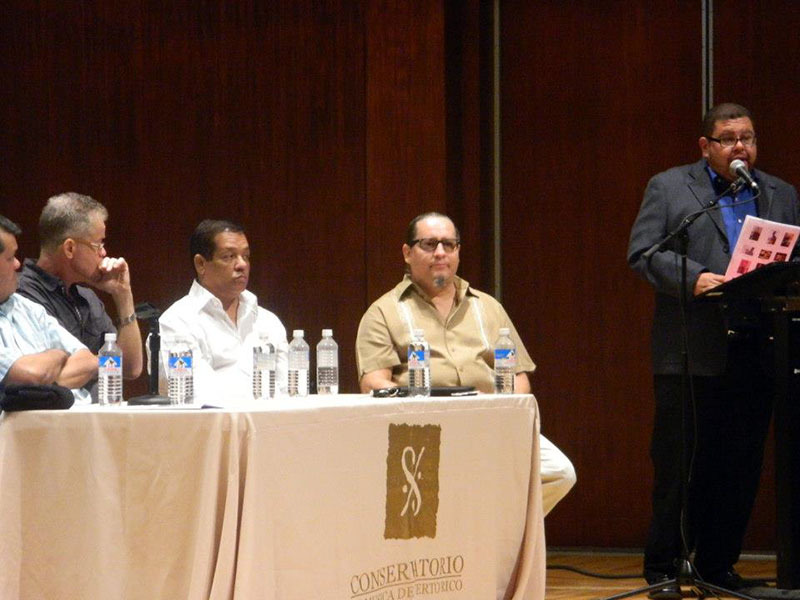 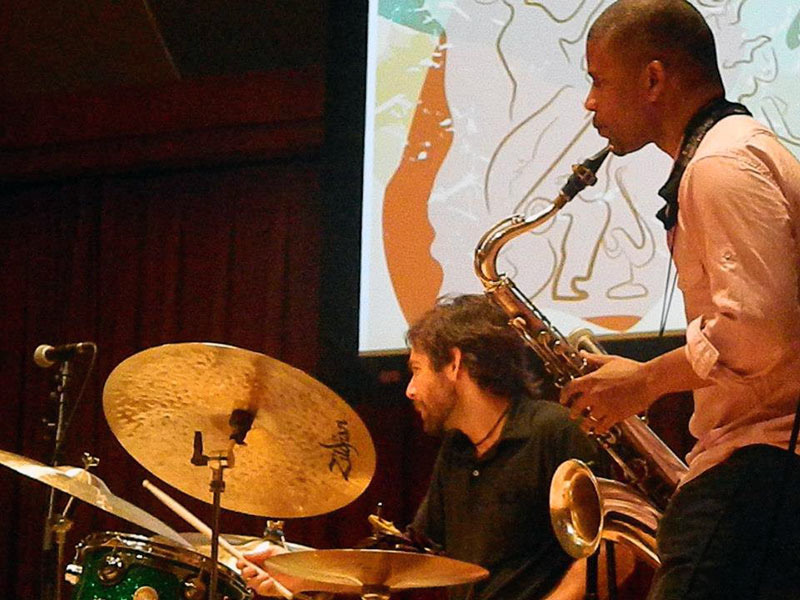 Drummer Raul Maldonado, guitarist Raul Romero, bassist Aldemar Valentín and saxophonist Tiko Ortiz, showed on the original compositions, “Pensando”, “Beauty Bar”, “Por Poco” and “Conciencia Común”, why they are considered true Masters of the Puerto Rico Jazz scene. 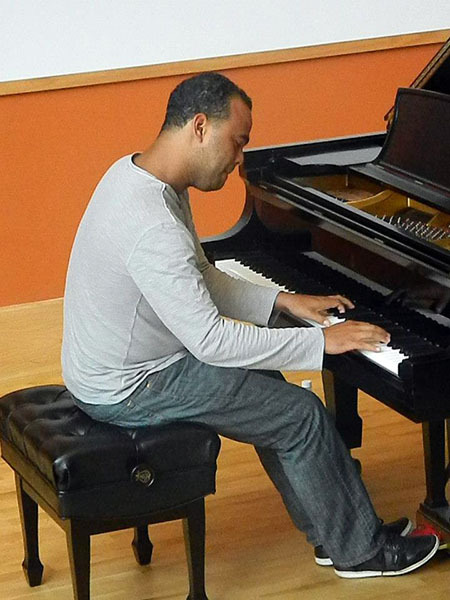 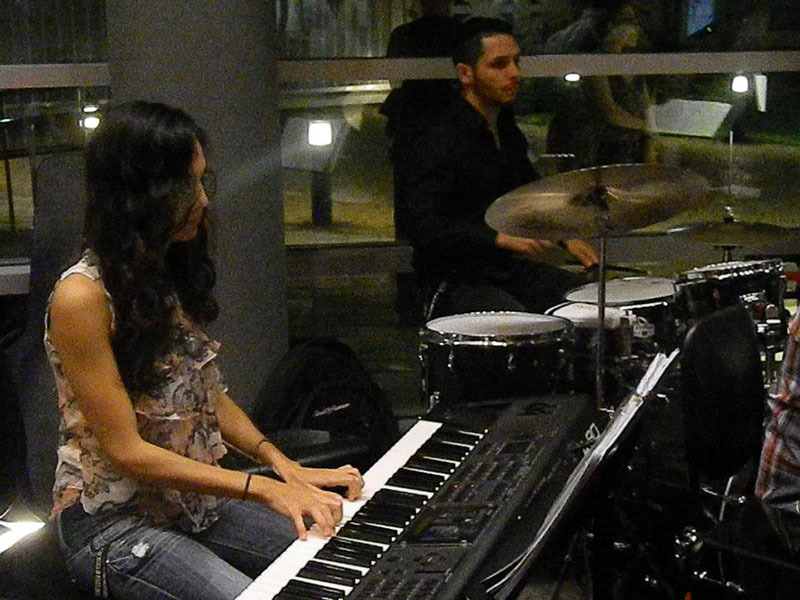 The second day of the Puerto Rico Music Conservatory Jazz Fest started at 10am with five excellent clinics. 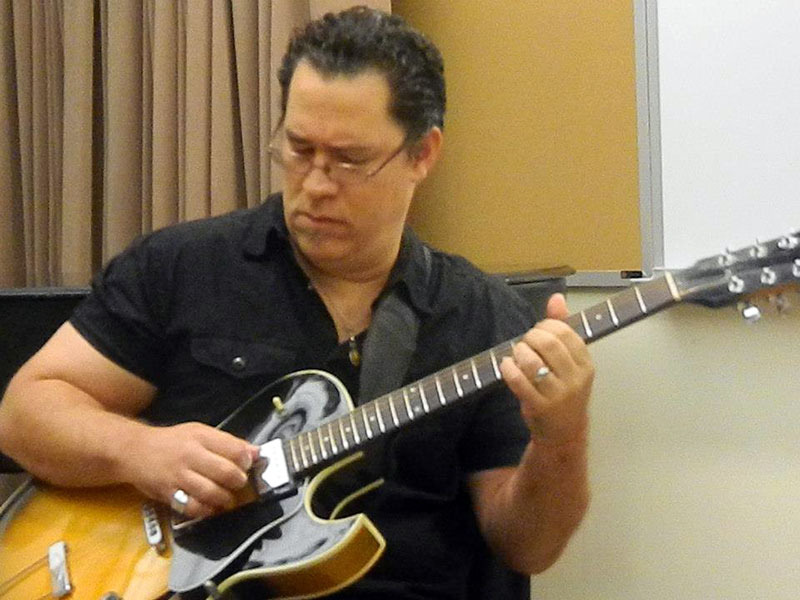 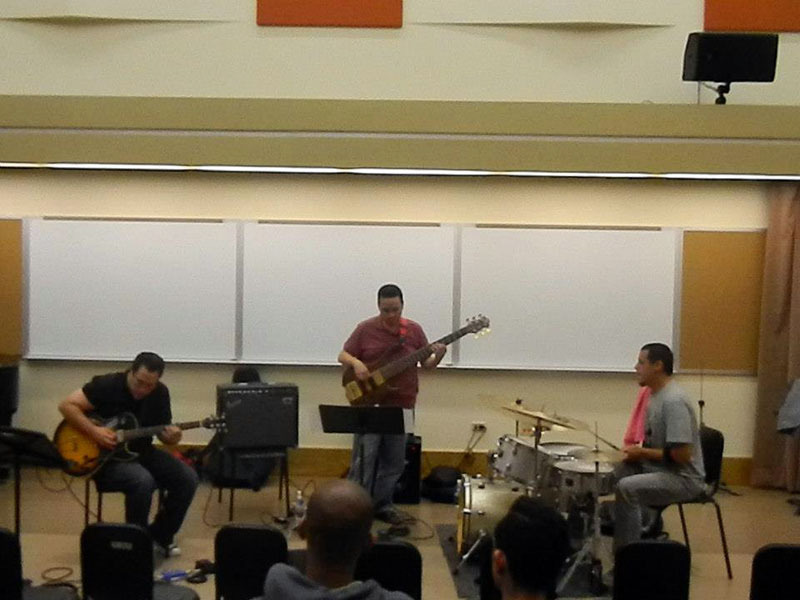 Guitarist Raul Romero alongside bassist Aldemar Valentín and drummer Efrain Martinez explained the jazz guitar techniques and the nuances of playing in a trio. 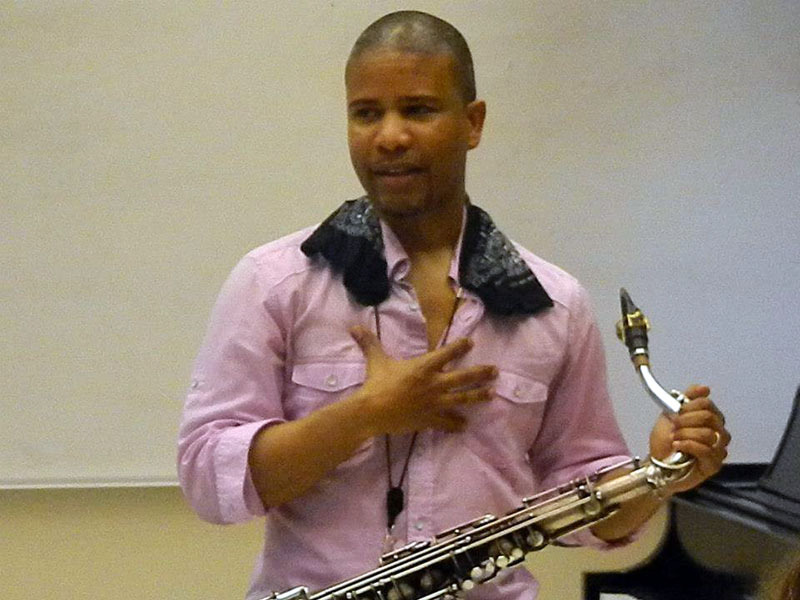 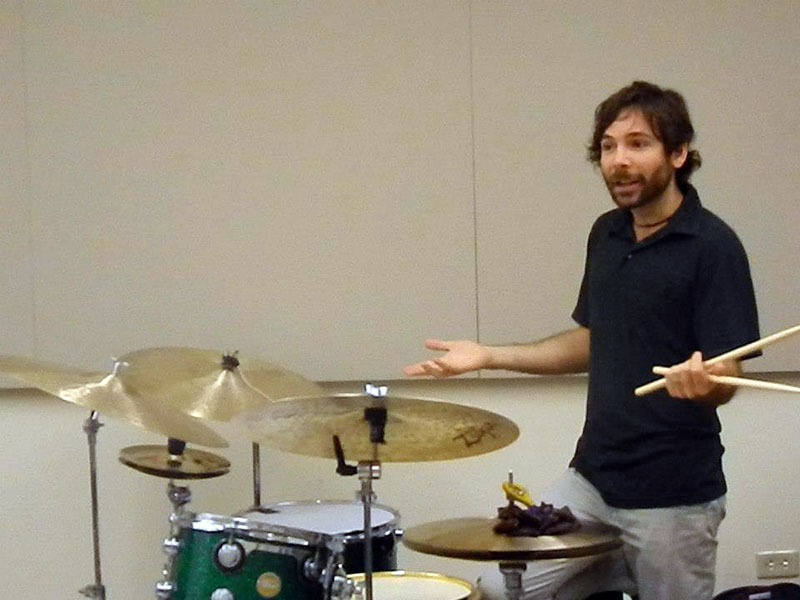 Ricky Rodriguez gave a master class on bass playing, Edward Simon showed the students how to connect with their feelings when playing piano, Henry Cole talked about the importance of practicing routines on drums and David Sanchez shared his thoughts on the importance of internalizing the melody in order to improvise. 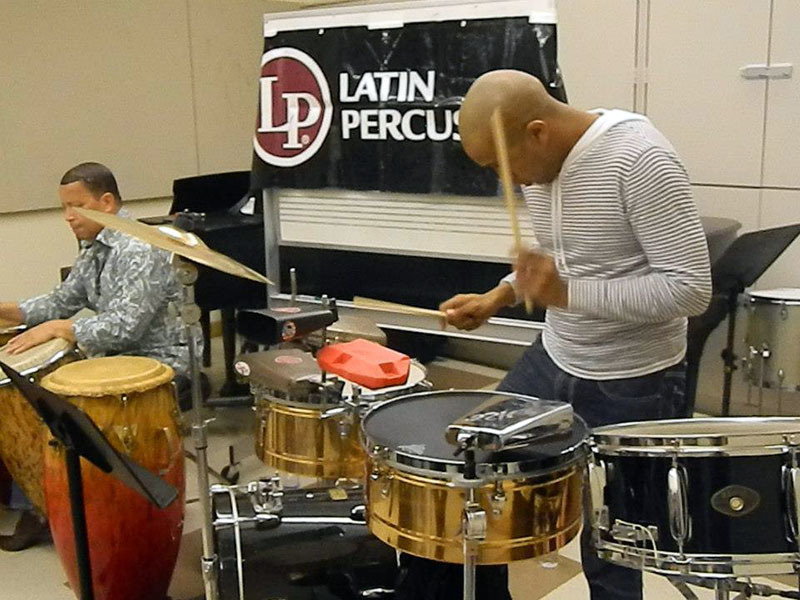 Latin Percussion Artists Manolito Rodriguez and Wilfredo López demonstrated the correct way to play the diverse Afro-Cuban rhythms and the evening closed with an interesting jazz forum/rehearsal with the David Sanchez Quartet, an opportunity for the students to ask David Sanchez and his band questions about the creative process. 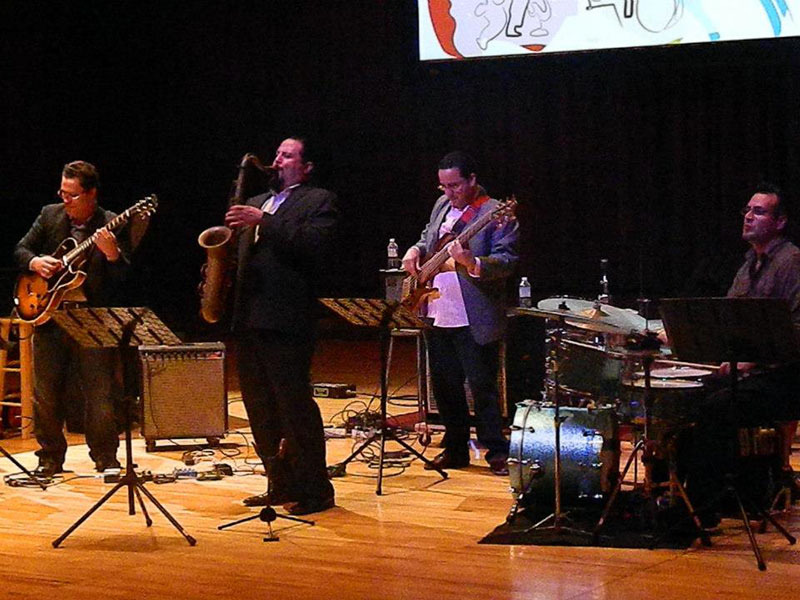 The musical offering on Friday night included Alex Apolo Ayala Trio, another young talent from Puerto Rico, saxophone master Luis Orta and ended with bassist master Gabriel Rodriguez Quintet. 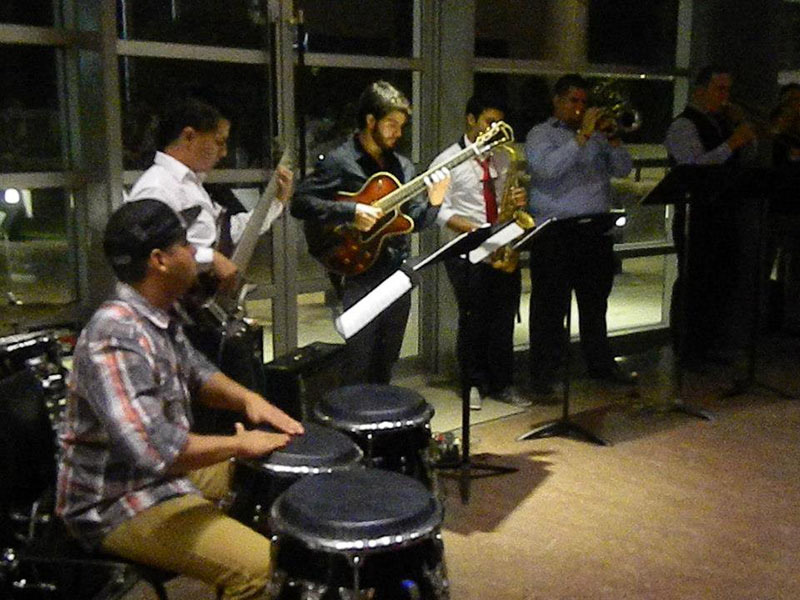 On Saturday night, a group of students directed by Aldemar Valentin, received the public in the lobby with Latin jazz music, a warm up to the last night of concerts. 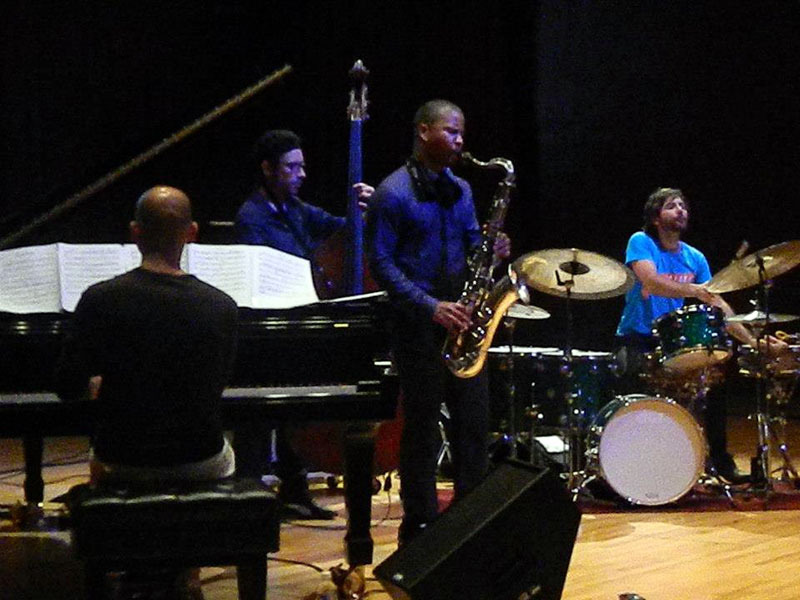 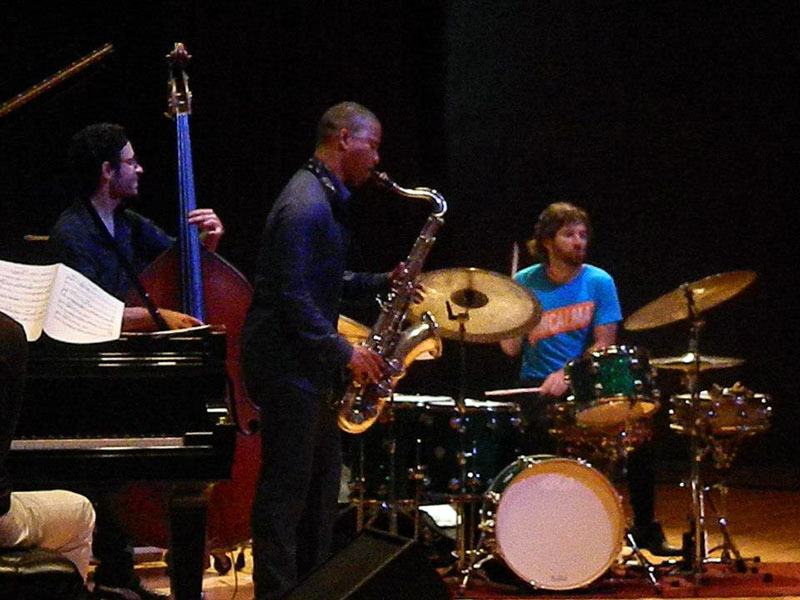 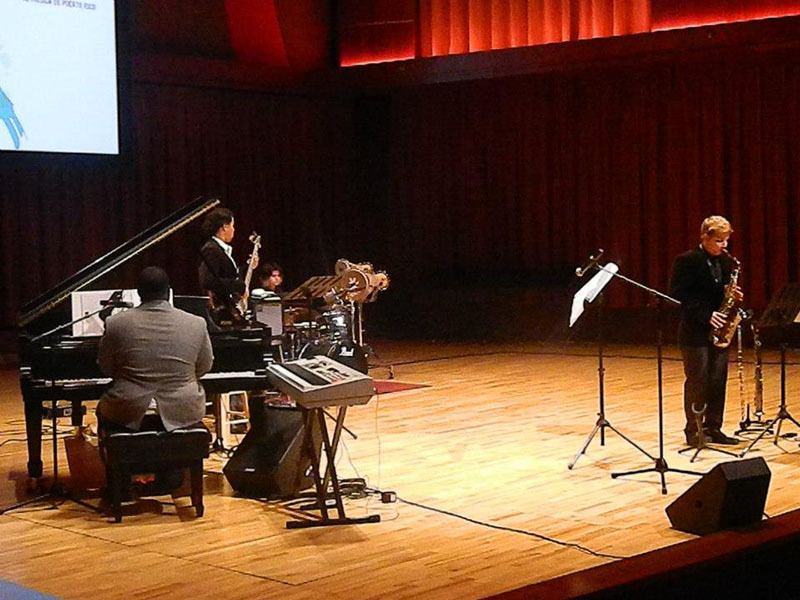 After his successful presentation at the Puerto Rico Heineken Jazz Fest, Music Conservatory Alumni Jonathan Suazo opened the night with his wonderful quintet, drummer Mario Pereira, bassist Abiud Flores, guitarist Gabriel Vicéns and pianist Eduardo Zayas. 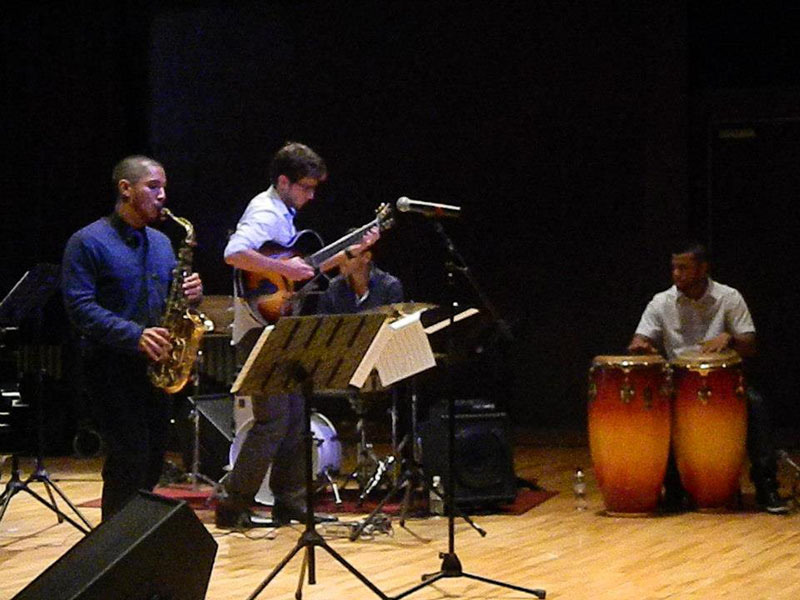 For this special night Suazo played some new compositions “Cambio”, Sufrir tras sufrir” and “Unidad”, a preview of maybe his follow up to the critically acclaimed first album Extracts of a Desire. 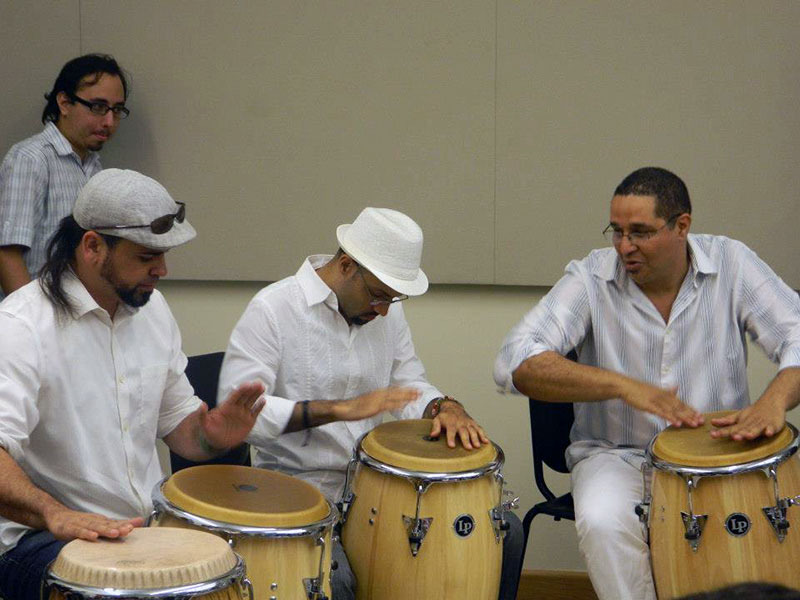 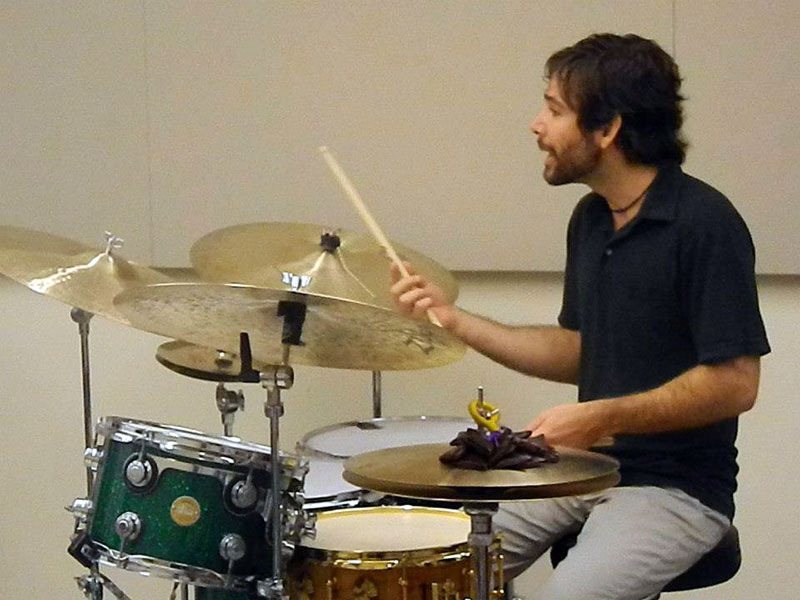 Percussion Professor Andrew Lázaro with a group of his students continued the great music offering playing amazing arrangements of classics like “Afro Blue“, and Ray Bryant “Cuban Fantasy”. 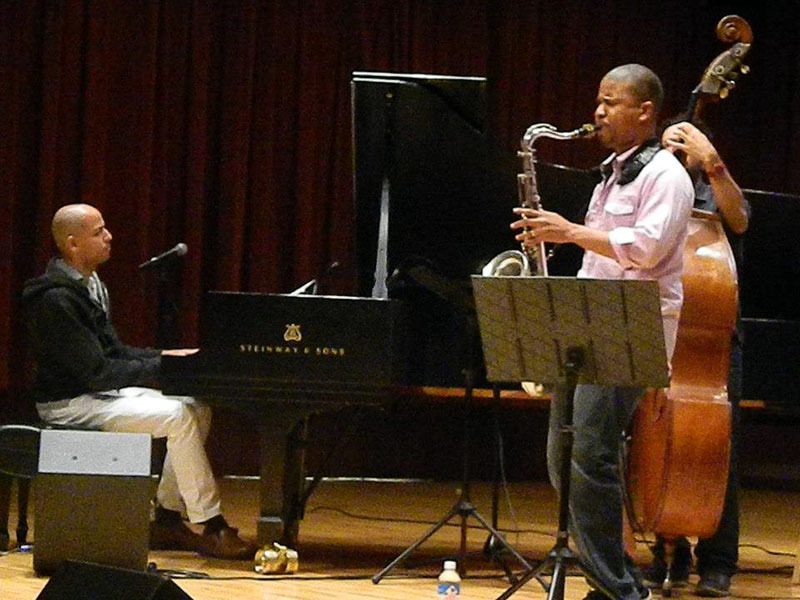 And finally the big act of the festival, David Sanchez Quartet, a group of true virtuosos, drummer Henry Cole, bassist Ricky Rodriguez, pianist Edward Simon and saxophonist David Sanchez, played mostly music from the album Cultural Survival and left the public satisfied with their intensity, sixth sense for timing, rhythm and harmonic structure and ability to speak to one another. 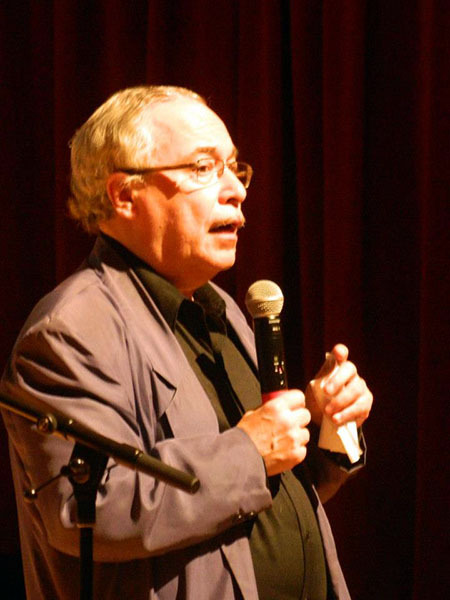 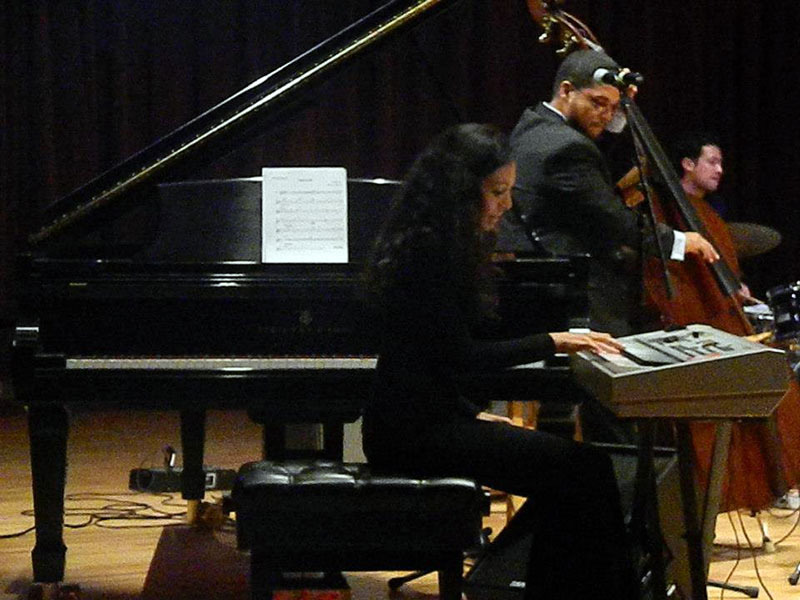 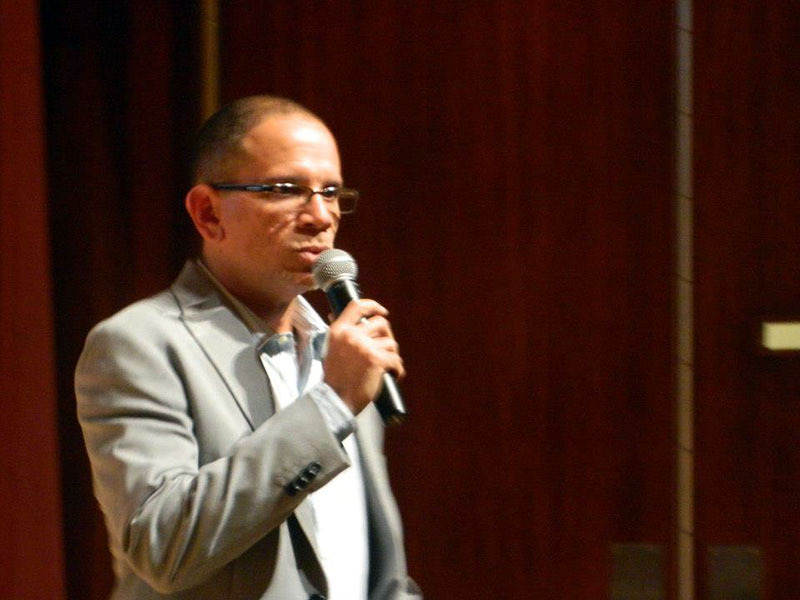 A lot of people deserve recognition for their efforts in organizing this special event, among them, pianist and Jazz Department Director Luis Marín, Artistic Director, bassist and Jazz Legend Eddie Gómez and Activities Director Wilma Colón.